In New York City, individuals with behavioral health issues have been comprising a bigger and bigger percentage of the total number of people incarcerated. Over five short years, people with mental illness grew from 29% to 38% of the NYC jail population. 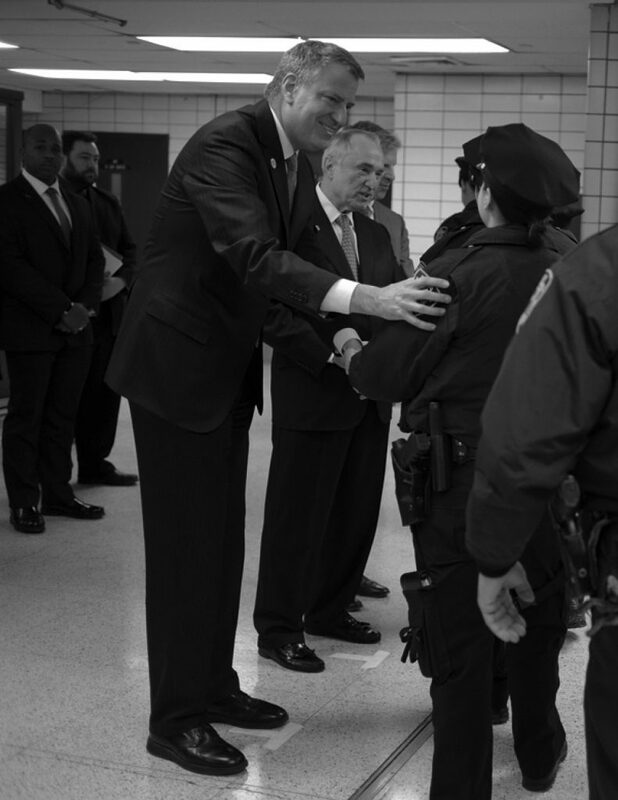 Mayor Bill de Blasio convened the Task Force on Behavioral Health and the Criminal Justice System with the goal of reducing the number of inmates with mental health and substance abuse problems in New York City’s jails. Comprised of an executive committee and five working groups, the Task Force was responsible for developing a plan to ensure appropriate interventions for individuals with behavioral and mental health issues are available at every stage of the criminal justice process—from street encounters before an arrest is made, to community-based care when individuals return home post-incarceration. The Mayor’s Office engaged Bennett Midland to manage this fast-paced planning and implementation effort. Bennett Midland supported the Task Force as it examined opportunities for reform, and developed specific recommendations for the content, production, and release of an action plan for the City. Our team coordinated with experts and consultants to ensure facts and research informed recommendations; helped interdisciplinary workgroups distill pertinent findings and integrate them into the overarching reform plan; drafted the Task Force’s action plan; and collaborated with senior staff to establish a clear plan for implementation, ongoing accountability, and progress tracking. This effort was successfully completed in 100 days. The resulting Action Plan and $130 million investment were announced in December 2014 and represent the culmination of the Task Force’s work. Since its release, many of the recommendations in the Action Plan have been fully implemented and are actively serving New Yorkers at the intersection of criminal justice and behavioral health.